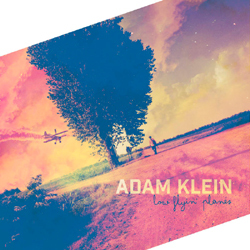 This is Klein’s seventh album and with each release he grows into a more assured and distinctive singer songwriter. He describes this album as the ‘sonic follow up’ to 2013’s ‘Sky Blue Deville’, also reviewed enthusiastically on this site and that is exactly what this album is. There is a real sense of whole here – strong production touches, great harmonies and ear worm choruses but also there appears to be a clear game plan. Each track is beautifully constructed – be it the guitar solo on ‘Lead Guitar’ a great track about playing coffee houses alone despite the songs calling for harmonies and other embellishments. Or perhaps the subtle horns on ‘Look Out (Doraville)’ which supports the narrative with a constant counter point to the melody. Glorious and uplifting. The title track starts with a simple acoustic pattern that builds into a melancholy ballad full of brooding foreboding, showcasing Klein’s affecting nasal tones (and his range as his voice cracks on the higher notes !) and then just as you expect it to explode into a huge finish a delightful violin motif quietly squeezes the emotions dry. The album is chockful of such moments with Klein declining to take the obvious option and it really rewards repeated listens as every song has real charm. Seemingly simple songs like ‘Dog Days’ or ‘Pretty Long Time’ really bloom on repeat! Very much recommended if you like your Americana honest and streaked with melancholy. Bruised and beautiful - singer songwriter's seventh sets the bar high.